Ramadan is one of the most important festivals of Muslims. During the month of Ramadan, Muslims all over the world observe fast during the daylight hours and recite prayers in praise of God. The fast is observed only during the day time and is broken at sunset. Ramadan is observed during the entire ninth month of the Islamic lunar calendar. 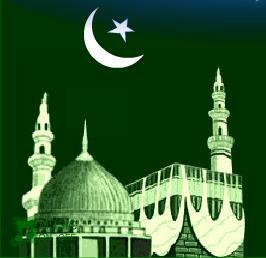 Shawwal is the tenth month during which Muslims celebrate after observing a month of fast. This month begins with Eid-ul-fitr which is the first day of Shawwal. Muslims usually observe a six day fast after Eid-ul-fitr as fasting on this day is prohibited. According to Sahih Muslims the combined fasting during Ramadan and the six days after Eid-ul-fitr is equal to fasting perpetually. It is so believed that a good deed is rewarded ten times and these total days of fasting are equal to fasting for a year. However, the six days of fasting after Ramadan need to be followed on consecutive days. Eid-ul-fitr is the first day of the tenth month of Islamic calendar and it marks the end of Ramadan. Muslims do not fast on this day. On this day, they perform early morning prayers either in their homes or in mosques. There is also a special Eid sermon prayer for this occasion. After the prayers, the people exchange good wishes for peace and prosperity and gifts with friends and family. It is usually a public holiday on the day of Eid-ul-fitr and most government organizations and schools remain closed on this occasion. People usually spend this time shopping, decorating their homes and preparing sweets and treats. Muslims are also encouraged to be generous and do charity to empathize with the poor and less privileged people. The exact day of Eid after Ramadan is never fixed as it depends on the sighting of the new moon. Umrah is the most sacred and holy pilgrimage of the Muslims to Mecca in Saudi Arabia. It is not compulsory as a law but it is highly recommended that every Muslim should make at least one trip to Mecca in his lifetime. The best time to make this pilgrimage is prior to the start of Ramadan but people usually travel after Ramadan. There is no specific period during which a Muslim should make this trip. There are several rituals to be followed during Umrah, the most important being the Tawaf. To perform a Tawaf means to go around the holy Kaaba in seven times in the counterclockwise direction. The holy Kaaba in Mecca is a holy place which has a mosque built around it. Whenever Muslims offer prayers from any part of the world, they are supposed to face the Kaaba.